Analog vs. Digital: How Does it Actually Impact Recording? One hundred years after wax cylinders, ubiquitous 2,500-foot reels of magnetic tape slowly began to be shelved in favor of computer hard drives capable of recording and reproducing music faster and cheaper than ever before imagined. The history of sound recording is marked with a number of such defining paradigm shifts that have shaped the way we record, listen to and hear music. And while there’s not exactly a huge swath of recording engineers and record producers pushing for the return of Edison-era cylinders with barely 2500Hz worth of bandwidth, the number of people all but swearing off digital recording and returning to large-format multitrack tape machines is far too large to ignore. Standing in solidarity is the slightly smaller group of people who simply never stopped recording analog at all. This growing group of renaissance-folk is not exactly silent about their mission statement and motives. Many of us have followed the internet forum dialogues and industry magazine opinion pieces on the “Tape vs. Pro Tools” title fight for decades, beer and hotdog in hand. Some of us have even put on the gloves and trotted into the ring, often without fully swallowing the hotdog before being punched in the jaw by someone on either side of the argument who’s significantly more experienced and knowledgeable. But what issues actually lie at the core of this classic recording debate? 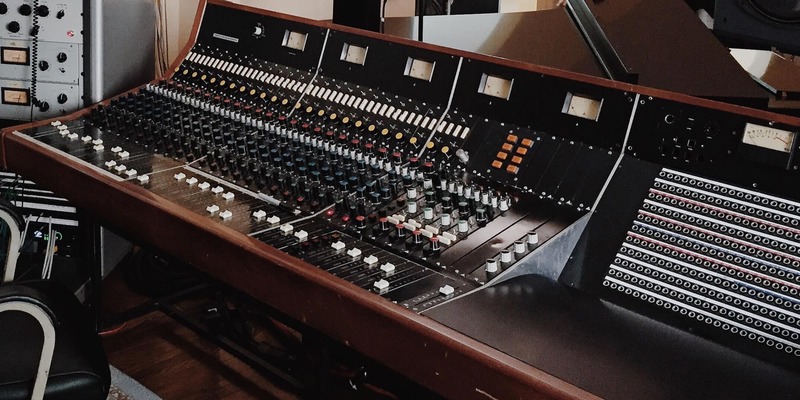 While there’s a near-infinite number of heads to this hydra, it all seems to boil down to two main talking points: “the sound” and “the method” of making a record in the analog or digital domain. Champions of tape tend to harp that digital recording is far too clinical and sterile to properly transmit the emotion in a song, while magnetic tape has a sonic personality – a certain dimension and depth of field which are apparently “immeasurable” and somehow accentuate the human qualities of music. Magic, like Siegfried & Roy. Misunderstand it and be mauled by a tiger. Then there’s the “method” aspect of it all – the art in the pocket opposite the science. Analog proponents will often say that digital recording involves staring into a screen at a sea of waveforms and parameters instead of closing your eyes and listening. Digital gives far too many options and opportunities for extensive manipulation. Hundreds of tracks and thousands of takes at your disposal, no “rewind time” to silently reflect on what just happened, no in-the-moment decisions necessary and a bottomless black hole of plugins and processors that can take an otherwise acceptable sound and send it into a digital coffin. Of course, the digital flag-bearers in the blue corner are of the opinion that everything the tape crowd hates about digital recording is exactly what makes digital the preferable format and the overall better way to make a record. Queue up the raucous choruses of “If The Beatles had Pro Tools, they’d have used it!” and wake me when we’re recording into thin air. I, for one, am not interested in ending this particular debate – especially since it has provided me with almost 20 years of solid entertainment. And while I’m experienced with both analog and digital recording and have employed both with varying degrees of success, I am in no way some master record-maker whose opinion eclipses anyone else’s. What I intend to do here is clarify a few things for the less-experienced hobbyists and budding recordists who may be struggling to understand what all the tape-fuss is about. 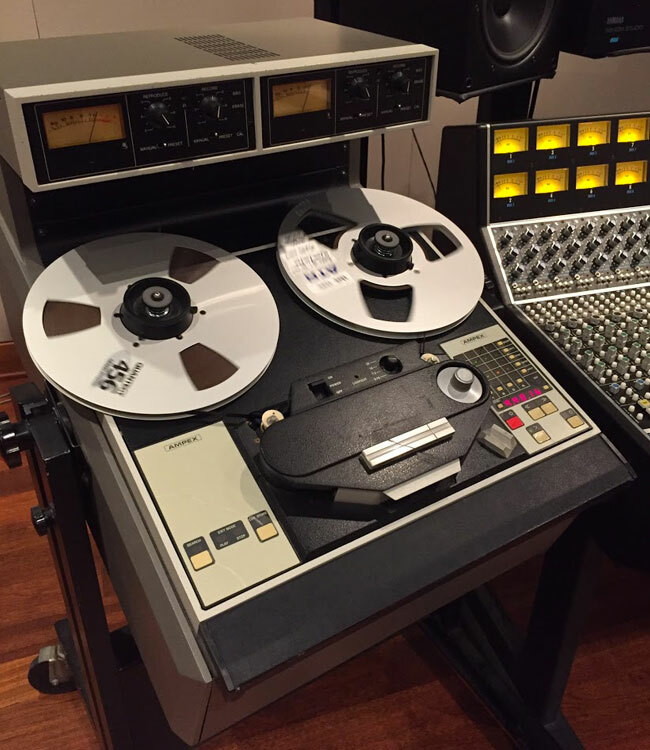 Let’s take a moment to define what we’re talking about when we say “analog tape machines.” We are referring to big, refrigerator-sized machines with a supply reel on one side, a take-up reel on the other, and a higher price tag in 1975 than many brand new semi-luxury sedans have today. We are not referring to a Tascam Portastudio that prints each of four tracks onto 4/100ths of an inch of consumer cassette tape. Professional tape machines have technical specifications that would make any Audio Precision system smile and applaud. The designers and engineers of these things worked tirelessly for 50+ years to ensure maximum fidelity, stellar signal-to-noise performance, and the reliability to run almost non-stop 365 days a year (with the help of skilled technicians). 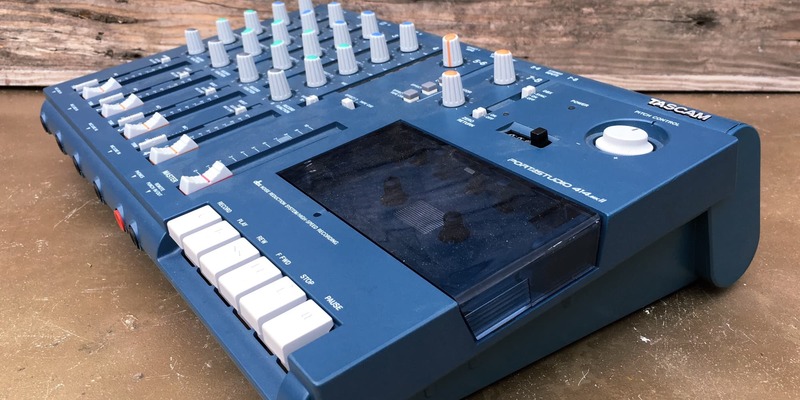 What I’m getting at here is that when someone tells you they use a Portastudio for the “tape sound,” you have everyone’s full permission to laugh them into hiding as you fire up your vastly superior $100 digital audio interface. A walk through Tascam's time-honored, all-in-one Portastudio series. The number one reason cited for recording music to tape in the 21st century is the sound. 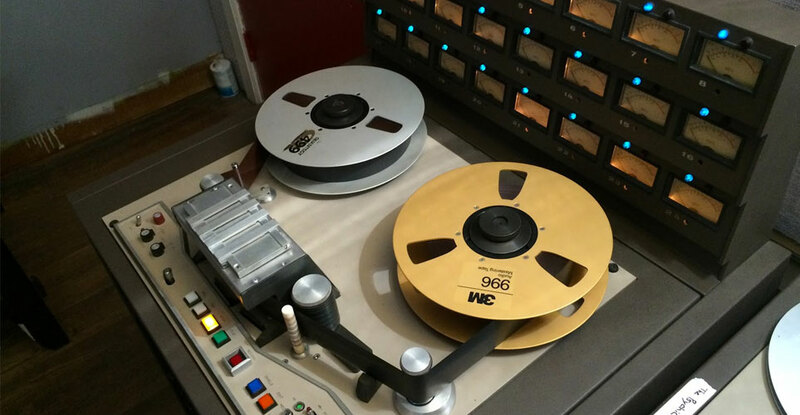 Engineers, producers and musicians who prefer the old-world way constantly refer to the sound of tape as being superior for record-making with bold, unwavering confidence. 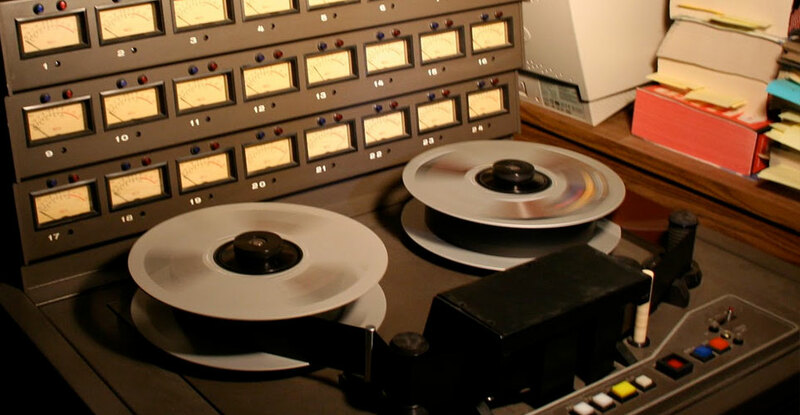 An often overlooked tidbit, however, is that analog tape really does not have “a sound.” In fact, analog tape recording has an overwhelming variety of sounds depending on what exactly is used, how it’s being used, and of course, who is using it. Still, there is something of a general consensus as to the “sound” of recording to tape. Pull out your umbrellas and shield yourself from a ferocious storm of buzzwords, because the colossal clouds of analog tape hold almost all of them. Regardless of what adjectives are being used to describe the tone (and completely ignoring that one thing is reportedly both “punchy” and “mellow”...), recording to analog tape does add something to the sonic equation. You can listen to the output of the console before the tape, and then listen to the return back to the console and very much hear that the tape machine is doing its thing. Or, rather, a large combination of things. 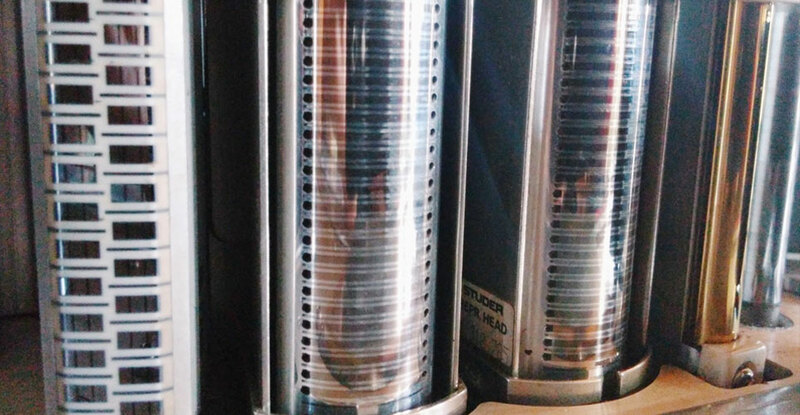 Different machines and headstacks have different frequency responses and low-frequency emphasis curves known as the “head bump,” while different brands and formulations of tape have different characteristics and require different alignment and initial setup. Let us not forget about the (most commonly used) different tape speeds – 15 and 30 inches-per-second or IPS – which bring their own sets of proverbial pajamas to the party. Various formulations of tape come with their own instructions for ideal alignment and signal levels. But for many record-makers, these aren’t seen as hard rules – rather, nothing more than wide-goalpost guidelines. Two engineers can be using the same exact tape machine and the same exact kind of tape and wind up with two completely different sounding rigs before a single microphone is hung in the live room. And what about analog tape’s infamous sonic limitations and irregularities? By their very nature, many of these are also moving targets which will morph the sound of analog recording from day to day, ear to ear. We’ve got some technical “uglies” inherent to the format – some of which can be heard plain-as-day from the first print and some that take several passes across the heads of the machine to make themselves known. In addition to your standard noise and tape hiss, you’ve got the phenomena known as wow-and-flutter – a subtle to not-so-subtle variation in speed and pitch due to nonuniform tape motion during recording, playback or both. This is typically related to the design of the machine, wear and tear, and the physical properties of tape itself. And – ah, yes – low-level print-through of signal from one layer of tape to the next. Oh, and then there's distortion. Incoming and outgoing signal levels, the tape machine’s electronics, the actual tape itself and the adjustment of an inaudible bias signal are all factors. Each one alters how, when and where distortion occurs and whether that distortion is delightfully pleasing or unbearably awful. Now that we’ve got some semblance of an idea as to what makes tape sound like tape (even though, really, we don’t), let’s get onto “Hydra Head the Second” – the practices and procedures that make an all-analog session starkly different from its all-digital younger sibling. How records are made on a tape transport with a console and a razor blade compared to how records are made on a computer with a control surface and a mouse. In a 100% analog studio, your eyes might focus on the musicians, the console, and the remote for the recorder. These are all tactile things you can reach out and touch and occasionally pinch or slap or punch. In a digital studio, there’s a natural tendency to replace all of that with the hi-res monitor display of what’s happening. Musical-looking, forgiving VU meters are swapped with intensely accurate bargraph meters and graphic waveforms. A mixing console that can span the width of a room is frequently missing in favor of a smaller digital control surface or even nothing at all apart from a digital rendering of your faders in the DAW. Then there’s the time component. A Pro Tools session can have multiple markers that let you instantly fly from one section of the song to another with a single button push. On a tape machine, you’ve got fast-forward and maybe a couple auto-locate points. Want to review the last take? Hit a hotkey in your DAW and get to the front of the song faster than you can say “song.” Or hit rewind on the tape machine and let the sound of the spinning reels soothe your soul for 20 seconds. Edits in the digital domain are as easy as highlighting a section and choosing from a mountain of tools to slice, split, trim, duplicate, fade, mute, delete… pretty much anything you could conceivably do to an audio file. When a single bass drum hit is slightly early but the rest of the take is fantastic, it takes seconds to zoom in on the offender and nudge it into place. On a tape machine, you pull out a single-edge razor blade and physically cut and splice entire sections of the tape on an editing block. Essentially no other editing can be done. Perhaps the biggest distinction to a digital session is the limitless, non-destructive nature of it all. 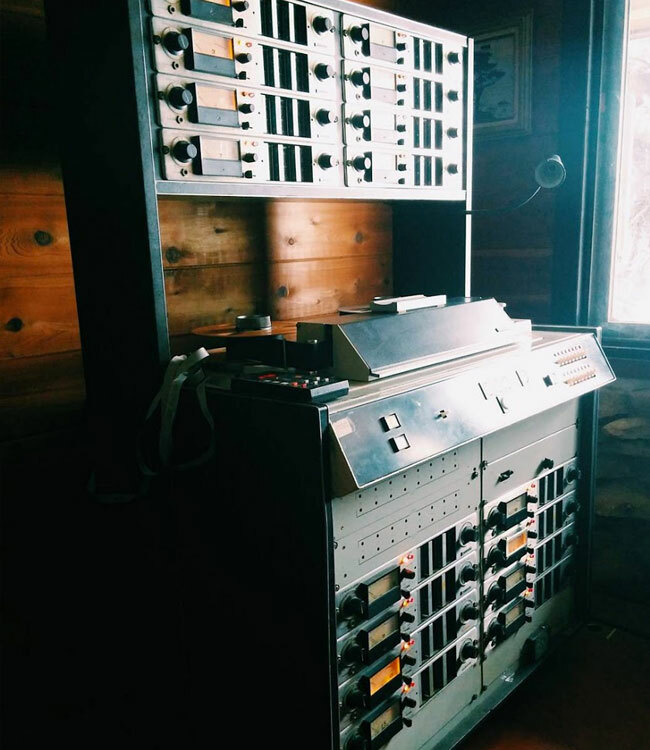 You’ve got a limited number of tracks to play with on a tape machine, and when you record over an old take or punch in a section, what you’re going over is gone forever. No undo, no redo, no playlists of multiple takes that you can weed through later as is the case with a digital session. Simply put, recording to tape requires a lot more preparation (read: “practice”) on the musicians’ part and a fair amount more patience to boot. Sure, digital recording and DAW software has opened us up to a vast new world. In the process, having probably provided us with about 100 times more rope than is necessary for a noose. But one thing rarely mentioned about digital rigs is that you can absolutely make them as simple and limited as their analog counterparts – you just have to impose the limits yourself. Use fewer tracks, make firm decisions on your sounds and performances up front, skip the playlists, and don’t perform edits you couldn’t do with a razor blade and tape splicing. Recording every instrument at the same time helps a lot, too. A huge part of the sound on the “old” analog-realm records we know and love (much bigger than the recording medium itself) comes from how the band played the songs. But that’s a story for another day. Much of the perceived “problem” with the sound of digital recording may also have a lot to do with simple technique, particularly with regard to signal levels and gain staging. This is something that, thankfully, has been trumpeted on forums quite a bit in recent years but bears repeating as often as possible. In the realm of 24-bit digital recording, more conservative signal levels are the path to true enlightenment. There are no benefits to digitally recording as hot as possible. And truth be told, doing so will only make everything you do sound worse. If a track’s meter in your DAW is nearing the top of the “yellow” range – -10dBFS (full-scale) and above – the analog electronics of your A/D converter are getting a signal that is well above 0dB on an analog VU meter. Pushing this much level into consumer-level interfaces and converters is pretty much never going to sound good. Most converters are set up for -18/-16dBFS = 0dBVU and you’ll find time and again that keeping individual digital tracks in that range will sound better than the “louder” alternatives. This is truly the first step to getting digital recordings to have the same sort of dimension as the best analog recordings. 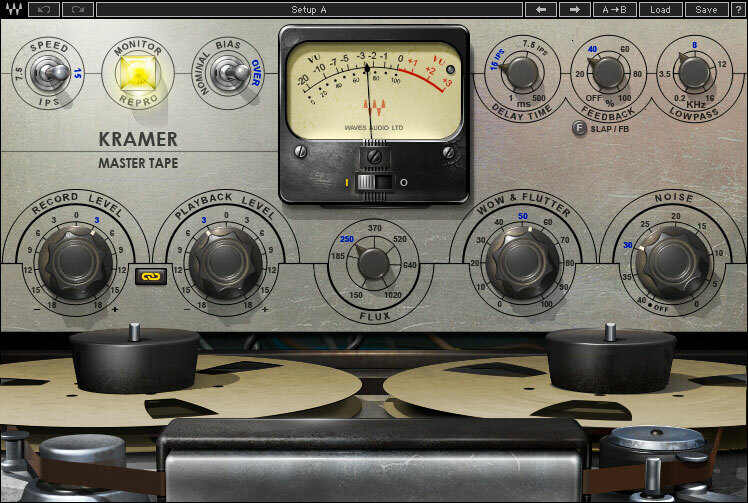 From here, digital tracks can benefit from a different sort of “massaging” on the processing front to get some of the more desireable effects of a good tape recording. Compression times with slightly quicker attack and slower release will get you part of the way there. Using EQ for a bit of subtle low-end bumping across most or all of your tracks can sort of emulate the head bump of an analog recorder. 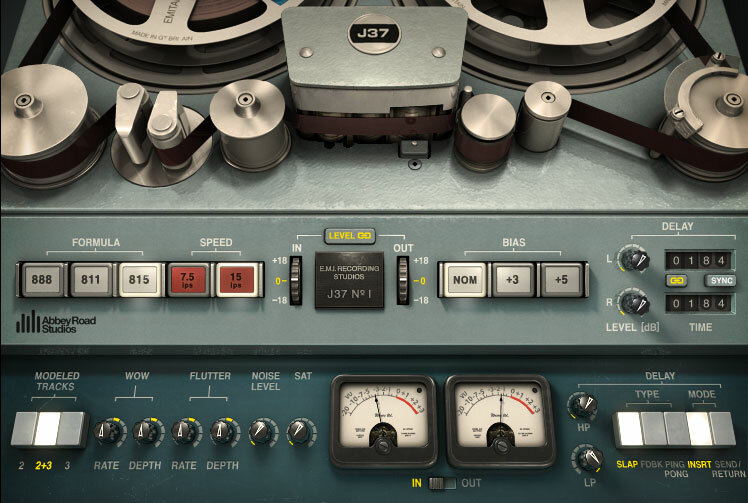 There’s also a compelling number of plugins (some of them free) which emulate the sonics of tape machines and magnetic tape, and they can indeed produce some convincing results when leaned on gently. For me, the best of both worlds involves recording digitally and then mixing down to a ½” 2-track machine. The sonic impact this can have when using a great tape machine that’s properly aligned is not subtle, even though everything started out in the digital domain. The vocals in particular kind of slide into the mix in a way that is very difficult to achieve completely in-the-box. 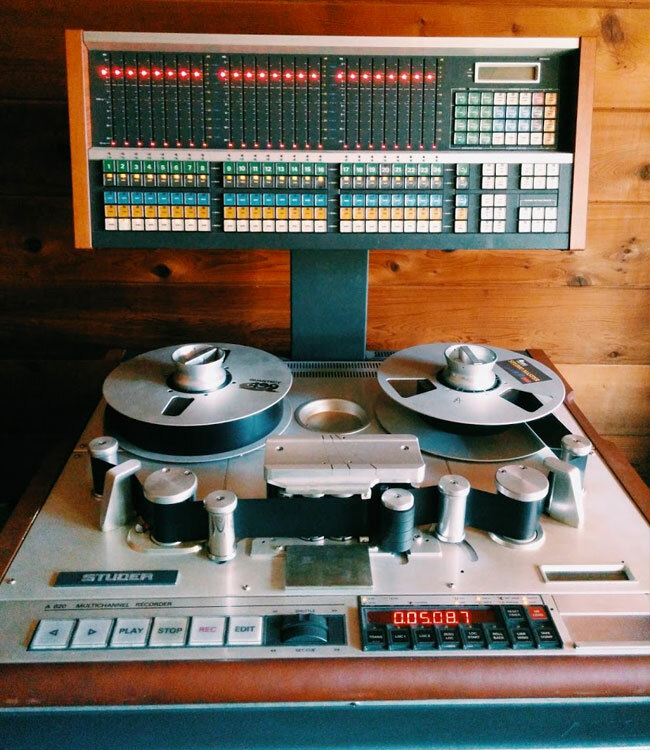 When put into the hands of a true master of the craft and used on a song that’s actually worth recording in the first place, analog tape recording and all of its tiny blemishes and limitations is absolutely a thing of beauty. In the wrong hands, an incredible tape machine will sound like a broken toy. Plugins versus analog hardware. Ones and zeros against tubes and transformers. Cats fighting dogs.